participants with or without previous experience. You will learn to excavate and classify archaeological material found. You will identify different types of Roman pottery, amphorae, coins and other Roman archaeological material. After learning this in Sanisera, you will have a better understanding when you visit Paris. You can't miss the opportunity to practice in an archaeological excavation and discover Paris, the most beautiful and romantic city in the world watching all its art and culture through its museums and unique places. By participating in this course you will have the opportunity to excavate in a unique Roman city in Menorca (Spain) and then explore the most remarkable archaeology from The Louvre Museum. This field school program, with a length of 16 days, will start in Spain. Students will meet in Menorca during the first day. Next and during the following days they will focus on the excavation in the ancient city of Sanisera, where they will work for 10 days. Students will receive an intensive introduction on basic aspects of field excavation techniques following the Harris Matrix. The fieldwork runs 7 hours per day, with time dedicated to excavation as well as laboratory work focused on Roman pottery. Courses are given in both English and Spanish. On the 11th day of the course participants will fly to Paris, where they will stay for 5 days. During this time, students will carry out an archaeological tour around Paris in order to visit the Louvre Museum and its archaeological collection. 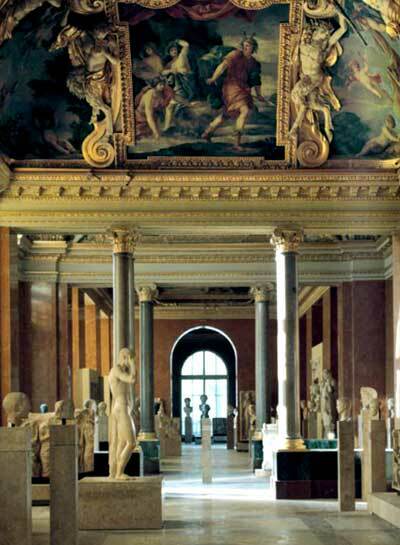 The rest of the days, during the stay in Paris, the group of students and the guide from our organization will decide in a freer way to visit other museums, monuments and interesting places. Once students finish the archaeological tour in Paris, they will have two days off in order to enjoy their free time. On the 15th day of the course students will fly back to Menorca, from where they will go back home.